The goal was the following: We were all trying to get 16 people through a hula-hoop. Two different people were holding the hoop and all 16 of us were holding hands. We could not let go or touch the hoop. The hoop symbolized a “ring of fire” and if any part of our bodies touched the ring, the process would “reset” and we would start again. Needless to say, there was a lot of discussion and many tried to make me laugh but I stayed true to my commitment to be silent. When the time came to put me through the “ring of fire”, the team thought I was resisting or making it difficult to get me through the ring. In reality, I could not move due to the positioning of my body. My friends or “the team” quickly analyzed the situation and saw that I was really off balance; I didn’t have to say a word and once they realized, they followed through with the necessary adjustments. It wasn’t long before we achieved success… We all made it through the ring, my blindfolds came off and we celebrated; VICTORY! The next morning, as I was drinking my decaffeinated coffee my dog, Five Pound Maximus or “Max” for short, interrupted my quiet time. He looked at me and looked at the back door… Then looked at me and looked at the back door. It became apparent that he needed to go out. (He also does this when he wants water or food but it goes like this… He somehow gets my attention, normally with a quick bark, looks at me and runs to his water/food bowl.) Max never says a word yet, I know exactly what he wants! Why am I connecting these two stories? Because they have many lessons in common! When my friends stopped thinking I was working against them, they saw I was in need and willingly gave me support. Max came to me and I put aside my need for comfort. Awareness… When there is awareness, not many words need to be spoken! I want to encourage you to witness the world expecting nothing and willing to support. Please share with all of us so you can become our teacher… I cannot wait to read what you learned! I am glad I have this site to come to as I am feeling all alone right now. It’s much easier to type my “feelings” vs calling someone or talking on the phone. My Mom has stage 4 lung cancer with mets to the bone and has just had surgery to get a tumor or mass on her adrenal gland out. She is still in the hospital. 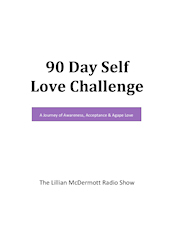 I am so sorry this is happening with your mom… I am sure this experience has brought you many growth opportunities and I hope our phone conversation helped you to feel empowered! Since many of us have felt how you are feeling how about if we use this as a teachable moment? It can be painful when someone rejects us; especially when that person is a relative. When we have gone out of our way and done everything to support that person, we have to ask ourselves the following question… “Would I feel hurt if this person was a stranger?” Unless you feel the need to have everyone like you, the answer to that question is most likely; “NO”! Think about it… Why would there be a difference just because they are related? So let’s see how we can learn from this. 1. Are they open for my help? Sending a card, making a meal or saying prayers are always welcome but if the person is resisting, wait for their cue. As much as one might want to help the people we love, if they aren’t open to being helped we can simply offer love and be there when asked. 2. Did I ask for permission to help? They might not know what they need but once they know; do it right away! Ask for preferences or as much detail as possible. If they do not care how it is done, do it to the best of your ability. Continue to Pray, continue to love unconditionally and continue to be helpful but only when needed. There are times, when we will need to love people from afar. Be aware and learn how to receive graciously! We do not know why people react the way they do. In this case, we don’t know if it’s medications or if this person is potentially not of sound mind all we can do is Forgive anyway! Does anyone else want to share how they got through a similar time?